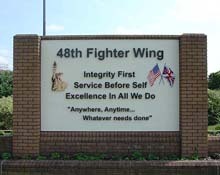 AF Lakenheath is located in Forest Heath District of Suffolk County in East Anglia, England. The base is about 80 miles northeast of London and about 25 miles northeast of Cambridge. The nearest towns are Lakenheath, with around 8,200 residents, and Brandon with around 8,800 residents. Both towns offer shopping, dining and leisure opportunities.